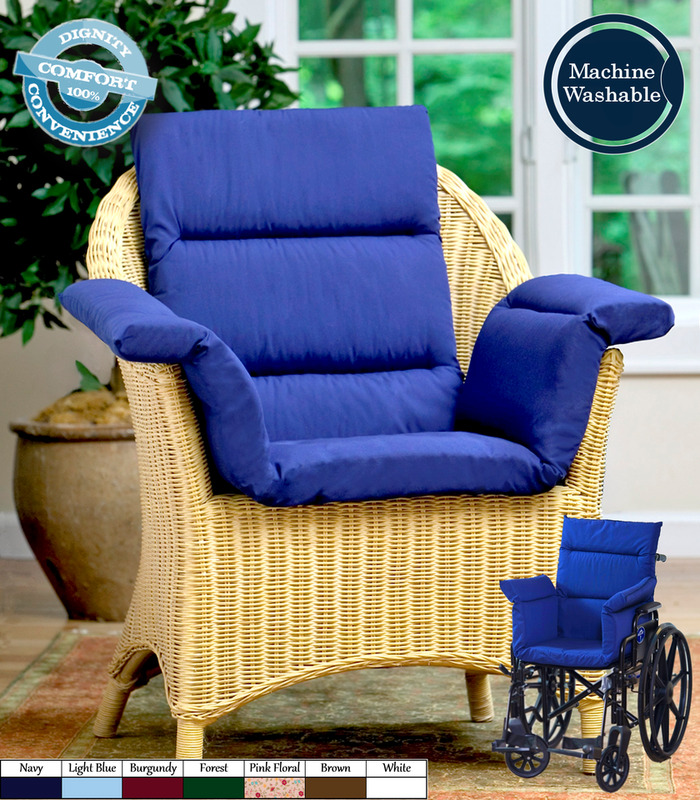 Pressure Reducing Pillows by CareActive are an excellent way to add comfort to any chair or wheelchair, effectively turning them into one giant pillow. 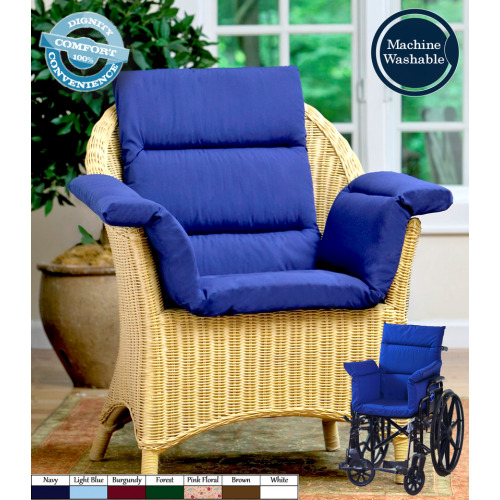 These complete, one piece, luxury polyfill pillow not only covers the bottom, back, sides, and armrests of whatever seat they're in, but the attractive colors add style as well. The Pressure Reducing Pillows are ideal for reducing body pressure, stimulating circulation, reducing numbness, soreness, and discomfort, as well as reducing heat build-up by increasing air circulation. The soft and resilient polyfill ensures that the Pillows will last for many years to come. and the Kolbs Gel Supreme Wheelchair Seat Cushion. Use On Multiple Styles of Chairs.